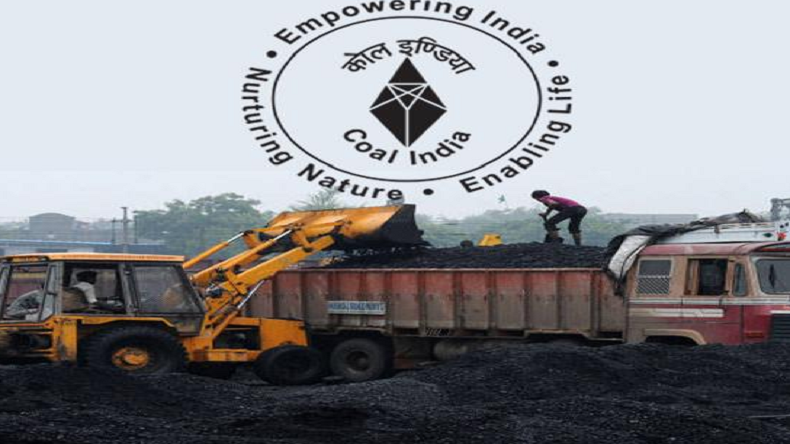 Coal India Limited (CIL), for the first time, had breached the 600 Million Tonne (MT) mark in coal production and off-take ending FY 2019, clocking growths of 7% and 4.8% respectively. The Maharatna coal mining giant had produced 607 MTs of coal during 2018-19 almost reaching its MoU target of 610 MTs. The 7% growth in coal production during the referred period is an almost three-fold increase compared to the last fiscal’s output growth of 2.4%. The volume increase in coal production during the referred period has been a robust 39.5 MTs against previous year’s production of 567.37 MTs. CIL scaled a new peak in production in the month of March 2019 producing 79.19 MTs – the highest so far in a month since inception. In doing so, the PSU coal mining monolith clocked highest ever production of 3.14 MTs in a single day as on 25 March. The upbeat production tempo of the world’s largest coal producer in the recent years was evident in the fact that it leapt from the 500 MTs production to 600 MTs in a mere three years, whereas it took the company seven years to migrate from 400 MTs production to that of 500 MTs. For the FY 2019 ECL, CCL, NCL and WCL have surpassed their respective production targets. NCL went past its production target of 100 MTs five days ahead of the closure of the fiscal, in the process becoming the third subsidiary of CIL to join the coveted 100 MTs producing companies after SECL and MCL. In another new high SECL became the first subsidiary company of CIL to cruise over 150 MTs production mark. ECL and WCL have become 50 MT plus companies for the first time. Scripting a new high in coal supplies to thermal power plants of the country, ending FY 2019, CIL’s sources supplied 488 MTs of coal against 454 MTs supplied last fiscal the increase in volume terms being approximately 34 MTs clocking a year-on-year growth of 7.4%. Rake loading to Power Sector grew by a healthy 11.2% during FY 2018-19. CIL as whole loaded 255.6 rakes/day on an average to power stations ending FY 2019 against 229.8 rakes/day for year-ago period, the increase in absolute terms being 25.8 rakes/day. The synergy between Railways, MoC and MoP resulted in overall rake loading evincing a growth of 5.6% during FY 2019 as CIL on an average loaded 280.7 rakes/day during the fiscal, against 265.8 rakes last fiscal. The increase in absolute number is 14.9 per day. With the increased supply of coal into the system coal stocks at coal linkage based power stations in the country swelled to 30.41 MTs (as of 28 March 2019) that is 18 days stock, which is close to the mandated 22 days. At the end of FY 2019, not a single power station in the country is in the critical or supercritical list of CEA for want of coal. End of last fiscal there were 28 power plants in critical mode. Coal stocks at CIL’s pitheads stand around comfortable 54 Million Tonnes at the end of the fiscal of 2018-19. With a total combined stock of 84.41 MTs at power plants and pitheads put together, there is sufficient coal in the system to meet the demand of the country. Tori- Shivpur single Line of 44.37 Kms has been completed in Sept’2018 and is now operational. Jharsuguda – Barpalli-Sardega Rail link of 52.41 Km has been commissioned in April’2018. CERL Phase-I track linking of the first 44 km from Kharsia to Korichhapar is completed.